Argo is a state of the art Archambault A40RC racing boat. 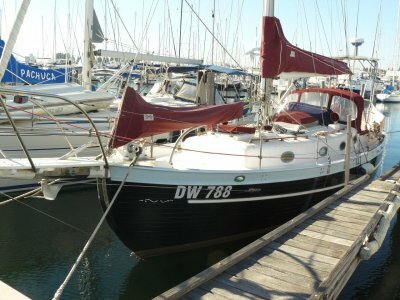 She is very well set up with top quality sails, electronics and equipment. 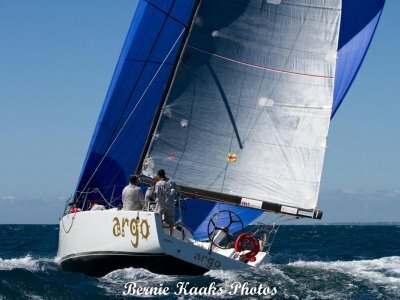 Since being launched in October 2010 Argo has been one of the most successful yachts in WA, every year achieving significant race and series results. There is . . . This very famous boat is in trouble and needs help. Severely damaged by Hurricane Irma in the Florida Keys, this icon of the Whitbread around the World Race is destined for the scrapyard unless the owner can get help to restore her. Please see the call for help from the owner below: A call for . . . The FARR 40 One Design was conceived as a high performance 40 footer that would gather the benefits of modern materials into an economic platform for short course and offshore racing that was demanding, exciting and not beyond the capabilities of relatively inexperienced and mature crew members. . . .
Aspasia is a fine example of the popular Catalina 34 Mk II. 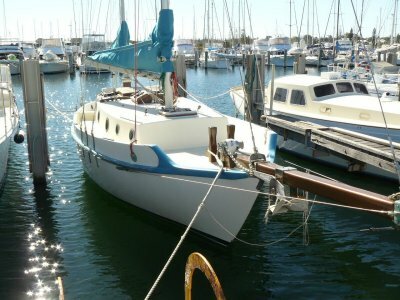 She is in good condition and has been well maintained, with the rigging replaced in 2013, the steering and rudder overhauled and the hull soda blasted in 2014. Fitted with a folding steering wheel the cockpit is easily traversed and below . . . The owner chose the Hans Christian 36, designed by Robert Perry, because of its classic lines and excellent seakeeping qualities. 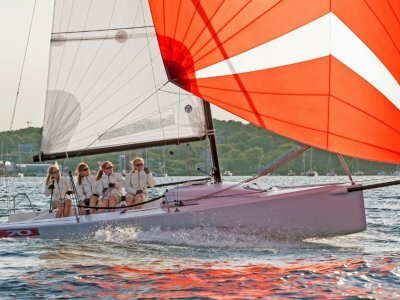 The boat is beautifully balanced and has the reputation of virtually steering itself, with comfortable, seakindly motion, good sailing qualities and excellent heavy . . . 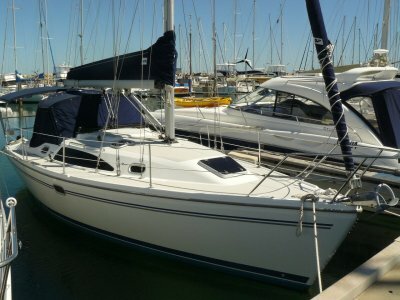 This Catalina 309 is in excellent condition and a credit to her owner. 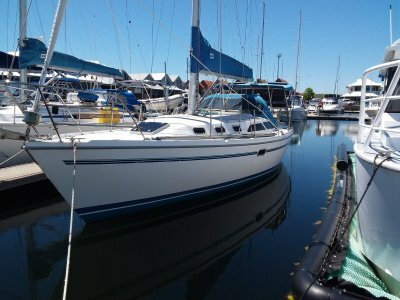 Launched in December 2008 she features ultra-leather upholstery, hot & cold water, refrigeration, innerspring mattress in forward bunk, television, shore power, new sound system, and new batteries (2018). Externally she has . . . Registered Gibraltar, British flag with a long keel, hydraulic rudder, emergency rudder bar under aft bed. She was last surveyed 2018, engine last surveyed 2018. Hull hand laid Fibreglass, no osmosis treated in 1992, two resin layers in 2002 Last antifouled in 2018. . . . 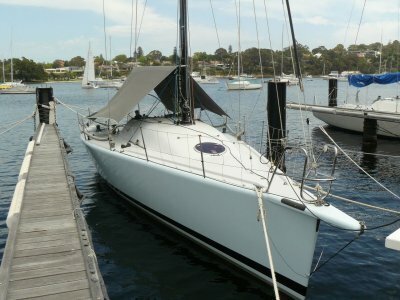 This large fast ocean racer has been part of the Western Australian ocean racing scene for many years including major bluewater events such as The Splash (Fremantle to Darwin), and the Fremantle to Lombok race. She has an extensive sail wardrobe, offshore safety gear, HF & VHF radios and . . . 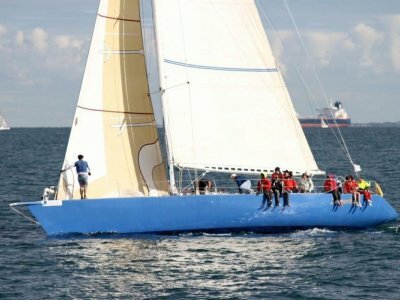 The J/70 is the fastest growing international class in the world and rapidly growing in Australia. Designed to suit sailors of any age or gender. These boats are extremely stable whilst still producing incredible speeds. "Mild Thing" was launched in January 2015 and has had very little . 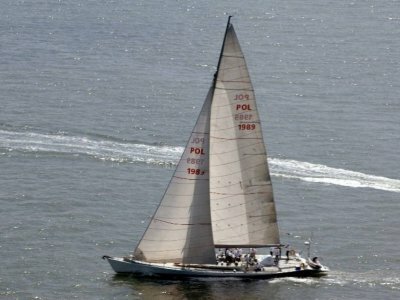 . .
Indianna was built by the Westsail Yachts in Western Australia. She is well presented and features tiller and wheel steering. 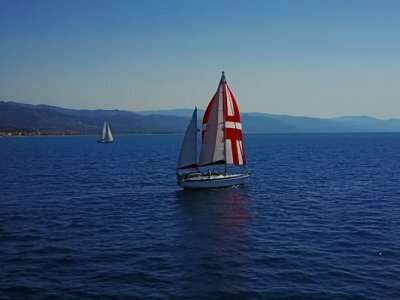 These large volume, easy to sail cruisers are known for their seaworthiness and soft ride capabilities making them ideal for short handed coastal cruising. . . .